Old fashioned, perhaps. Unique and popular, most definitely. 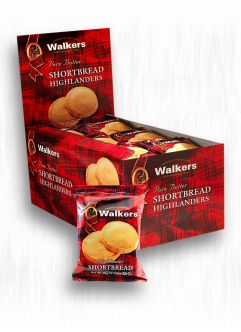 Shortbread Highlanders by Walkers are an exclusive recipe which includes creamery butter, finest flour, sugar and salt as well as hand-rolling the edge in crunchy demerara sugar. Eat a couple without opening a whole box.